Industrial buildings began as a functional space for factories, now they are used to create urban homes and apartments. The raw, empty spaces work as a blank canvas for interior designers and features of the space can be turned into wall features. What makes the industrial style unique? 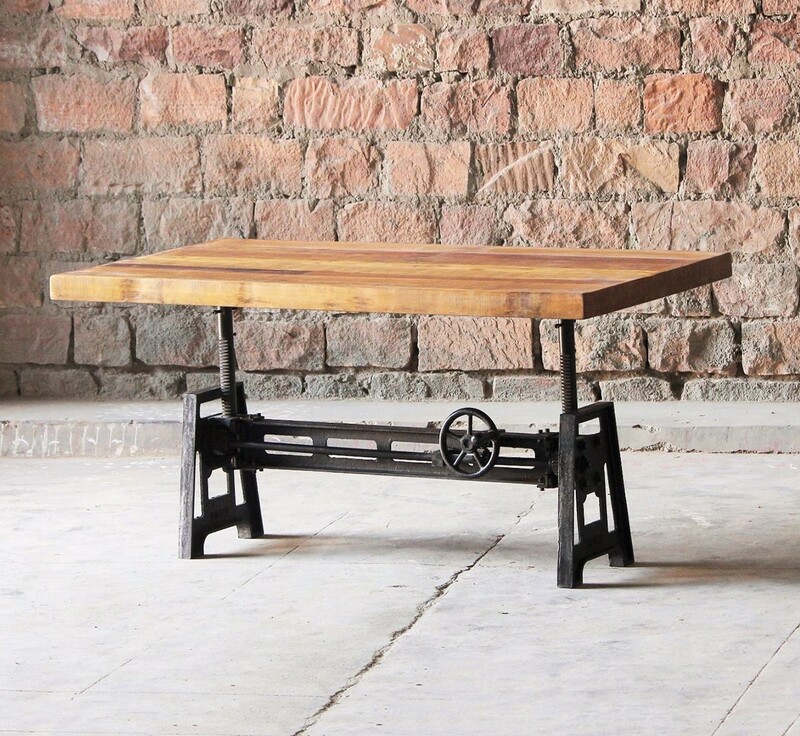 The benefit of using raw vintage metal and reclaimed wood will ensure no piece is identical. Bring out the individuality of each piece and hand fitting it to each space is truly unique. Industrial metal are the bones for this kind of interior design, the rusted solid metals are filled with character and history. Inspired by the machines of the industrial revolution, the metal influences are a celebration of the industrial history. Our adjustable dining table uses mechanics to create a functional yet stylish piece for your home. Warm wood balances out the coolness of metal. Reclaimed wood has markings from its previous life so you know the wood has lived and now tells a story with each piece. This use of reclaimed wood, again ensure no 2 items are the same. 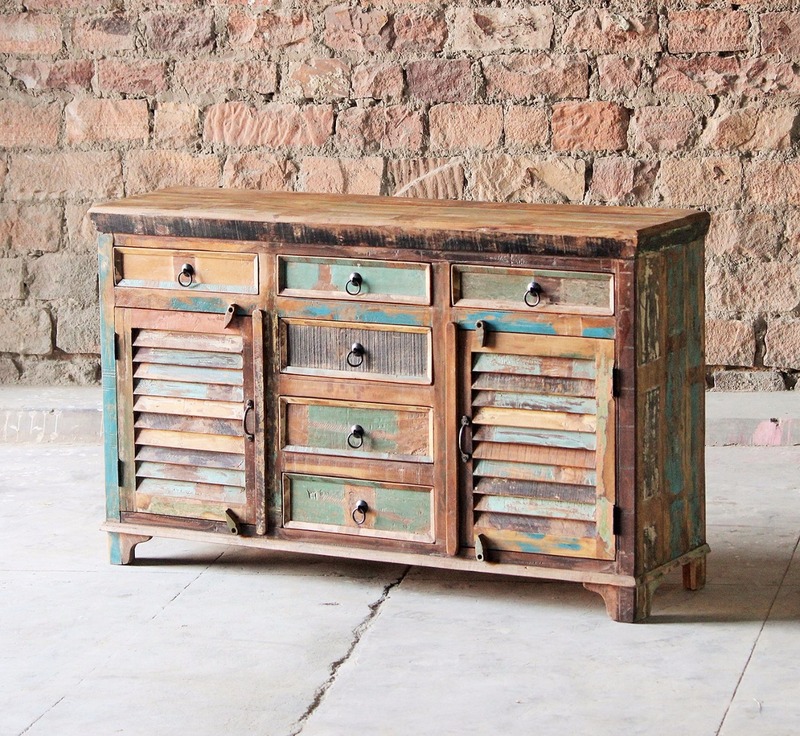 Our Reclaimed 6 Drawer 2 Slatted Door Sideboard is made from window shutters and body of an old fishing boat. Industrial décor has the ability to make you feel like you are meeting someone for the first time yet feeling like you have known each other your whole life. The stories and sounds, resonate in each piece. Like the lines on your grandparents face each tell a different story – a story of age, wisdom and life itself. 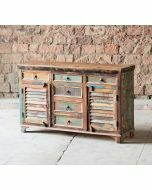 Check out our range of reclaimed and industrial style furniture so your home can tell its own story.